UPDATE: The giveaway is now closed. Thank you everyone who left a comment! I loved reading all about the adventures everyone is planning. You guys have some good ideas up your sleeves, and it got me very excited to plan some travel. The winner of the giveaway is comment #29: Carol Ezovski. Congratulations Carol, and thank you to everyone for playing! 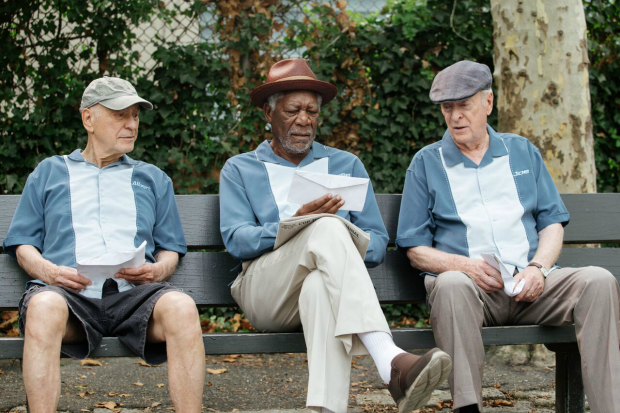 Friends, the new movie “Going In Style” opens April 7th and I, for one, can’t wait to see it. It’s a comedy starring some of the greats: Michael Caine, Morgan Freeman, Alan Arkin, and is directed by one of my favorites, Zach Braff. The movie is about three retiree buddies who go rogue and decide to rob a bank when their retirement funds are eviscerated as a corporate casualty, with ensuing hijinks. Just check out the trailer below to see what I mean. The visual of practicing a “dry run” robbery at the grocery store using a motorized wheelchair grocery cart (or as my son calls them, “granny carts”) will forever be hilarious to me. 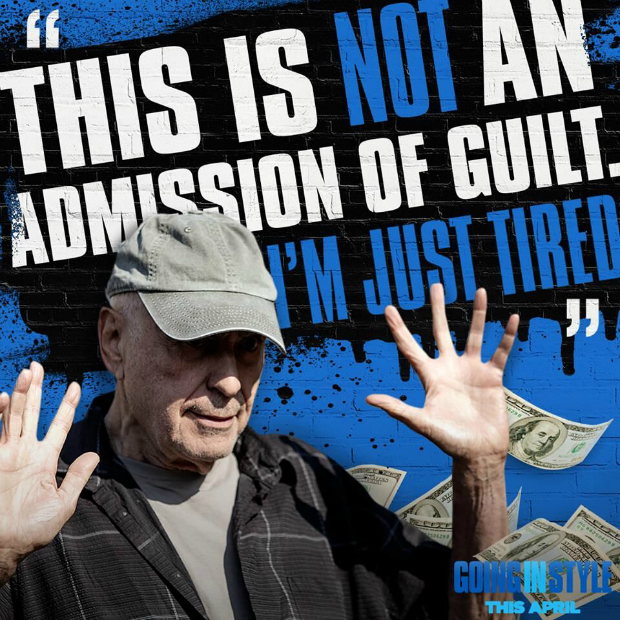 As will the scene where Alan Arkin stops running from the police because he’s “just tired”. I feel that business. I also love the idea of three pretty straitlaced retired buddies just hanging out at breakfast together, planning how they’re going to take their fate into their own hands over toast and cups of coffee. It reinforces my personal fantasy of being an unconventional old lady, living outside of the stereotypes everyone else might have for me. 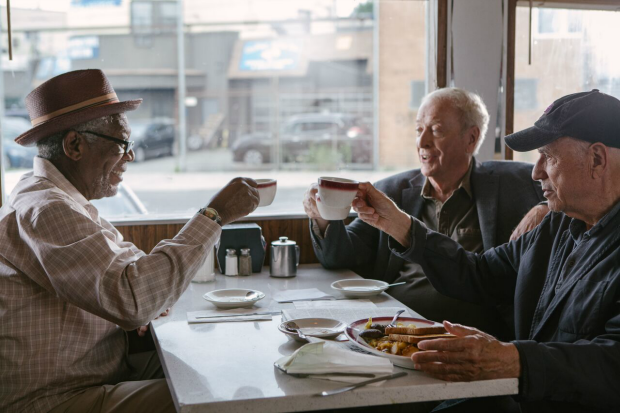 I’ll definitely be at diners hanging out with my buddies, making big plans for our future, much like the guys in “Going In Style” but slightly less definitely less illegal than robbing a bank. Leave a comment telling me what fun adventure you’d love to plan with your buddies. Leave the comment between today, Friday March 24, 2017 and Friday March 31, 2017, midnight MST. Make sure to leave your contact info in your comment so we can get in touch with you if you win. 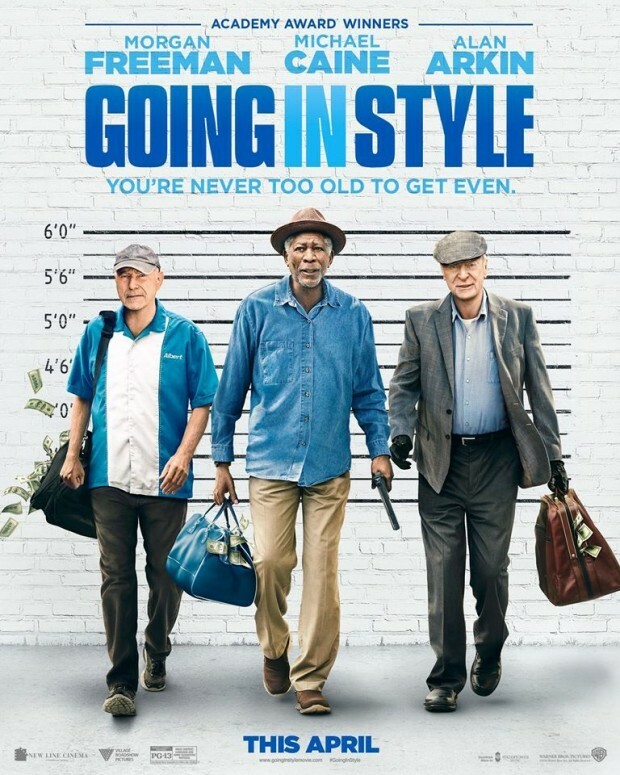 One randomly selected winner will win a $100 Visa gift card to go see “Going In Style”. Visit the Official Website, like ‘Going In Style’ on Facebook, and follow on Twitter. Good luck! I hope you enjoy the new movie. I would plan a wine tour at our local wineries with my buddy, my husband. My cousin and I will go home in the desert! I’ve always wanted to try skiing with my friends. I would love to go to Vegas with a couple of my friends. I know that would be a fun time. My two best girl friends are planning a get away weekend and we want to do a spa day with facials. I would love to take a road trip from VA to the FL keys with a couple of buddies! I would love to go backpacking in Europe with my friends. I would really enjoy a day of white water rafting and hiking with my buds. The fun adventure I would love to plan with my friends is a weekend getaway to the beach! I would love to go on a road trip with my mom and grandma. I would go to San Francisco with my friends. I definitely want to go on a fun beach trip. I would go to a music festival. It’s something I enjoy, my kids enjoy and my friends enjoy. Ooooh well my birthday is coming up and I’d love to spend a fun weekend with my girlfriends. We are all turning 40 this year & I’m the first one! I want to plan a trip with a bunch of my friends to go to Disneyland around Easter! I would go to Hawaii with my sister, rent a car and just explore! The next big adventure I have planned is a sister’s getaway with our two oldest girls. We are going to Disneyworld for Food and Wine Festival where she will drink all the wine and I will eat all the food and we will periodically check in with our kids. WINNING. I’d love to explore NYC with my friends. I want to take my gals to get pedicures, so we can spend time together, chat AND have cute toes! I’d love to have a girls trip to Vegas before we get to old. May the prize Gods be ever in my favor. I want to ramble around the southwest and visit the Grand Canyon this summer! I would love a trip to Las Vegas with my buddies! We’re talking about a road trip to Santa Fe & Taos which is guaranteed to be a lot of fun! !